This dish is one of my kids absolutely favourites, it’s everything that kids and adult will love, sausages, beans and pasta. 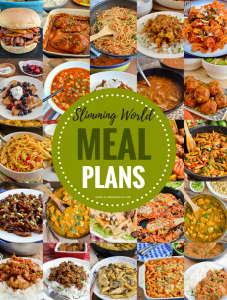 All combined together for a filling meal. Even fussy kids will enjoy this, it is packed with vegetables, but I chop them super fine, so they really do not notice. So if you struggle with adding speed foods because of a dislike to most vegetables, give this dish a try. 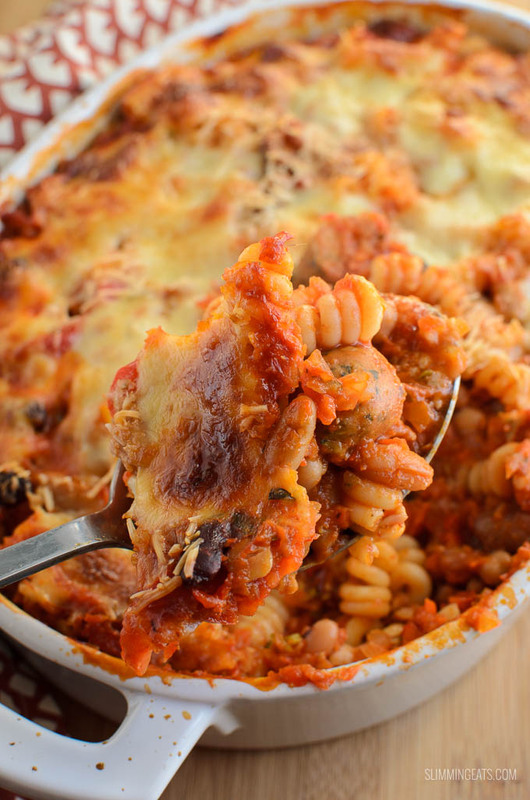 Of course you can serve this Sausage and Bean Pasta Bake alongside some additional vegetables for extra speed (remember the more speed the better, as it is speed foods which boost your weight loss). The cheese on top is all counted into a HEa serving. Which means your syns are free to use elsewhere in the day. 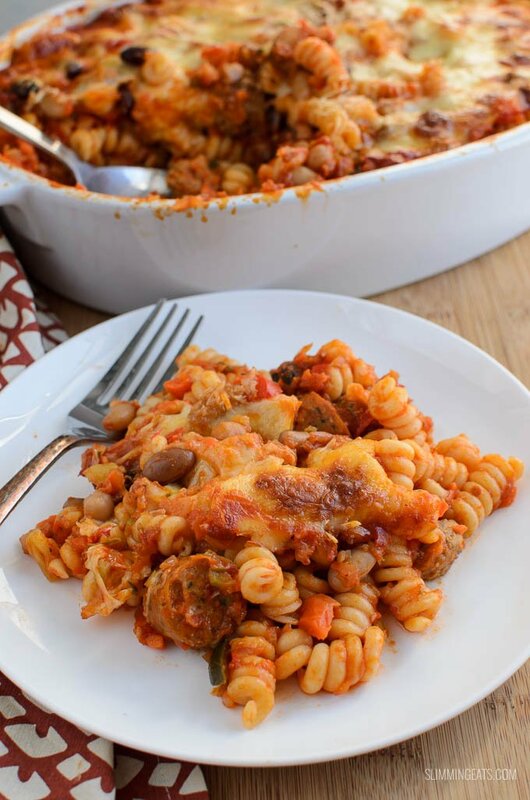 Use a gluten free pasta, like brown rice pasta, and you can make this dish gluten free and choosing a vegetarian sausage will make this vegetarian friendly. 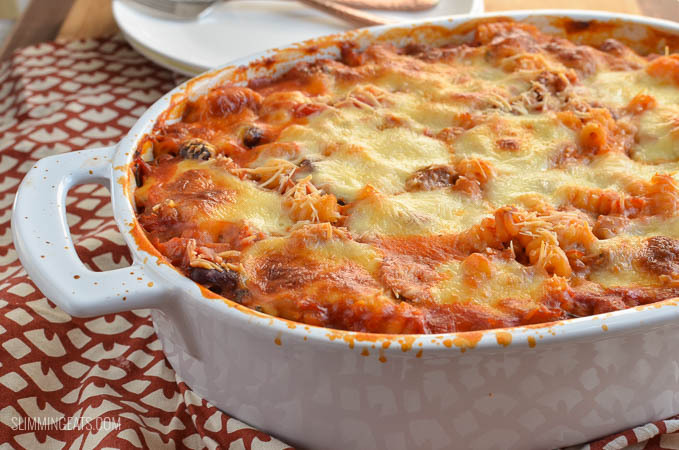 This Sausage and Bean Pasta Bake makes 6 decent portions, so if you only have a family of 4 like me, it means you have 2 serving leftover for lunch the next day, or you could even tub it up and freeze. Place pasta in a saucepan of boiling hot water and cook until al dente, drain and set aside. Spray a large frying pan over a medium high heat with some spray oil and brown the sausages, remove from pan and set aside. Add the onion and garlic and cook for a few minutes to brown. Add the passata, tomatoes, tomato paste, stock and a splash of balsamic vinegar, bring to a boil and allow to simmer for approx 20 mins..
Slice up the sausages and add to the pan along with the mixed beans. Mix thoroughly. Mix with the pasta and add to an oven proof dish, season with some salt and black pepper. 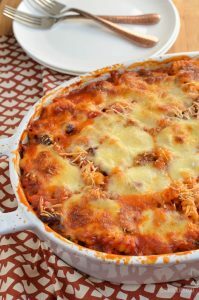 Top with the mozzarella and parmesan cheese. Place in the oven and bake for approx 30-40 mins, until cheese is melted on top and is nice and golden. Healthy Extra A serving of mozzarella in the US is a slightly smaller measurements, so adjust accordingly. Syns in sausages can vary, so double check the value of the one you use. 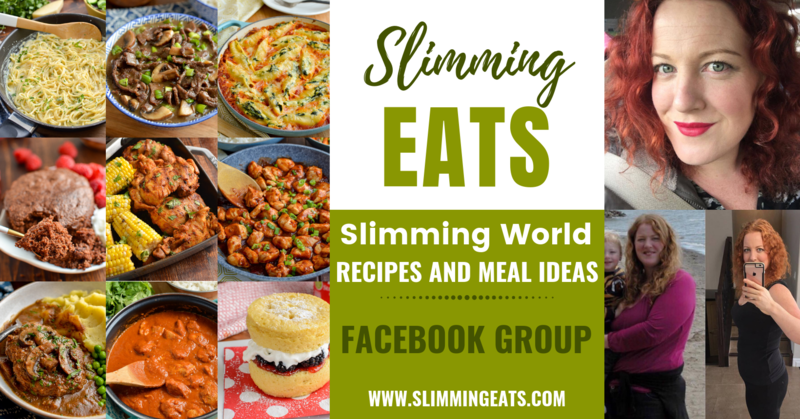 Ingredients can vary greatly from brand to brand and therefore it would be impossible to give accurate information.All images and content on Slimming Eats are copyright protected. Oh this is on the menu for sure! Made this! And its so yummy! 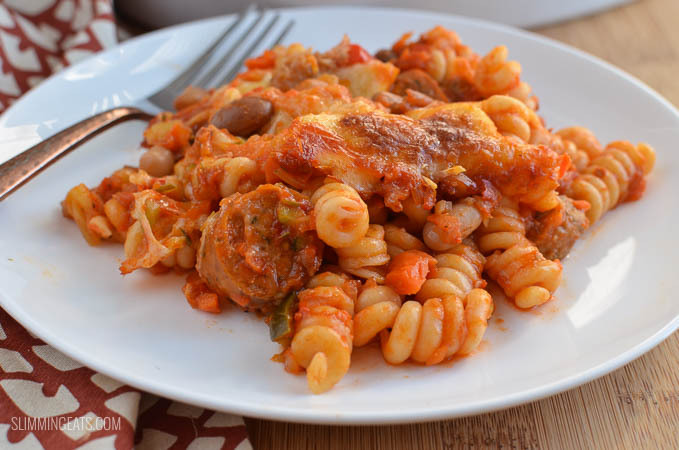 Made this tonight with the new SW Italian sausages & it was delicious. I also used spicy mixed beans. Can I freeze my leftovers? oooh i might have to change mixed beans to baked beans for my kids!! What is the sun value if it’s not used as a HEA? I use milk for my HEA so can’t use the cheese.